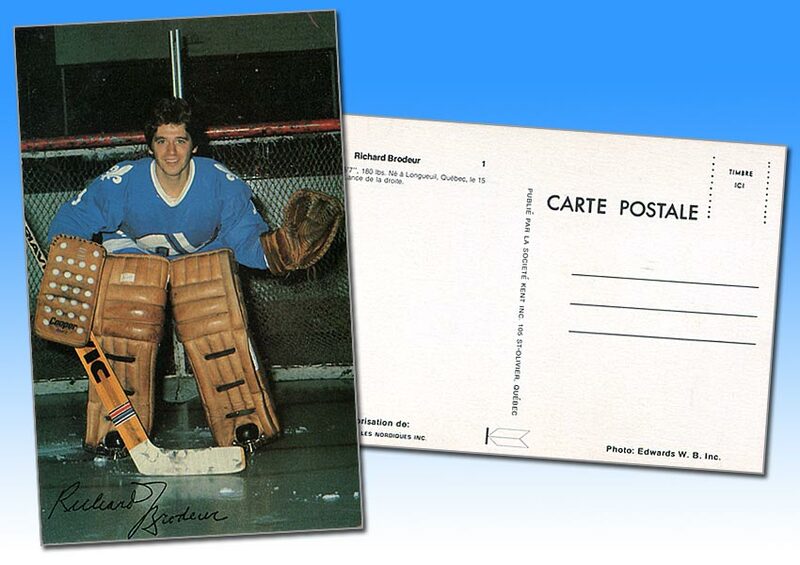 The Quebec Nordiques released a set of 20 postcards during the 1976-77 season, back when the team was still a part of the World Hockey Association. Like so many other team-issued postcard sets, this set is minimalist, with basic color photos on the front and scant information on the back. These postcards give us a good look back at a time when hair was long and helmets were few and far between.